Education is a core element of the programming at the Henry Wheeler Center for Emerging & Neglected Diseases (CEND). Fellowships provided through CEND support several levels of trainees, including undergraduates, masters or doctoral degree candidates, and postdoctoral fellows, in their pursuit of research related to emerging and neglected infectious diseases. The Irving H. Wiesenfeld and The Kathleen L. Miller graduate fellowships provide research funds for UC Berkeley graduate students engaged in the study of emerging and neglected infectious diseases, including basic science, discovery of effective treatments, diagnostics, and vaccines, or policy, law, economics in the context of national or global health. Application Deadline for 2019 is March 30th, 2019. Application Guidelines: You can click here to download the application instructions. The Thomas C. Alber Science & Engineering for Global Health Fellowship is named after Dr. Tom Alber, Professor of Molecular and Cell Biology and founding Faculty Director of CEND. Dr. Alber believed that scientists from across the UC Berkeley campus have the potential to make an impact on our understanding of diseases that disproportionately affect the world's poor as evidenced by his own contributions to the tuberculosis and HIV fields in his career as a structural biologist. In recognition of Dr. Alber's contributions to CEND, Henry "Sam" Wheeler, Jr. is allowing CEND to use part of his gift to fund the S&E fellowship in Dr. Alber's honor. The Alber S&E fellowship program provides short-term research experiences at selected sites in developing countries for Berkeley doctoral and postdoctoral researchers working with CEND-affiliated faculty members. The UC Berkeley Minority Health/Global Health NIH MHIRT Training Program funds international summer research experiences for qualified Berkeley students. 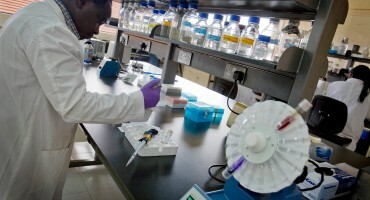 The program provides training in infectious disease research, with a focus on diseases that disproportionately affect people in developing countries. Goals of the UC Berkeley MHIRT Program: *To empower underrepresented health sciences students, by providing opportunities to bring their knowledge and research training to under-served communities in the developed and developing world. *To promote the translation of knowledge from the global South to the North, by encouraging students to identify ways in which their experiences abroad can inform health and research practices in the U.S.
Click here to learn more about the 2019 research opportunities. New Job Opportunities with Novartis!